The 11 Tried and Tested Techniques for Flawless Calculation and Finding the Best Moves Quickly… in Any Position. You’ve probably heard the famous saying “chess is 99% tactics”. When you want to know if multiple exchanges in the center will give you more space, you calculate. Wondering what your opponent might be up to? You consider moves and calculate them. It’s no exaggeration to say that your chess strength relies on how good your calculation game is. Improve your calculation and you will transform as a player, finding stronger moves on every turn. 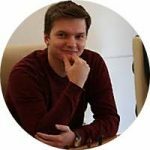 And, no matter if your goal is to hit 1800 or 2200, IM Mat Kolosowski can help. 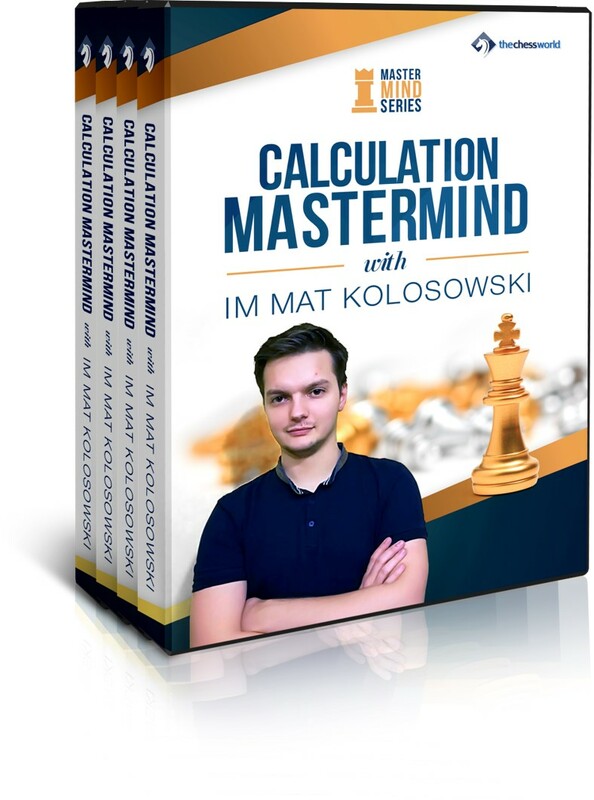 In his new Calculation Mastermind course, Mat has drawn on decades of chess ideas to teach you the QUICKEST and most EFFECTIVE methods for finding strong moves in any position. Deep sight - If things get hazy when you calculate 3-4 moves deep, you’re going to miss a lot of opportunities. Mat explains how to use “markers” at critical points, making it much easier to find key threats and defenses even 7 moves in (chapter 5). Goal-seeking missile - Instead of seeing a nice move and trying to make it work, Mat reveals how to identify favorable end positions and work backwards to find the right move. Use it to find multi-sac combinations like the hidden one in this position! (White to move, chapter 2). Rapid improvement training - Solving a bunch of tactics will keep you sharp and show you a few new patterns. But IM Kolosowski teaches you a training method that does that and improves your creativity, helping you find moves that you would never normally consider (chapter 11). Evaluation - It’s no use being able to calculate 5 variations 5 moves deep if you’re unsure who is better at the end of them. If you win a piece, it’s easy – but what about the other 95% of situations? Mat gives you a simple checklist that makes choosing the strongest line quick and easy. Shortcuts - With the clock ticking, any time you can save during calculation is going to be a bonus. Get ready to turbocharge your calculation speed with shortcuts like the elimination method and short branch analysis. Mat has done that for you, filtering out all the bad advice to leave you with 11 game-winning techniques that will serve you well for the rest of your life. If you are ready to leave the old you behind and transform your game - LET'S GET STARTED! Downloadable, complete set of PGNs files of everything covered so that you can analyze it at your own pace and convenience. A must have treasure chest for any serious player. Train the important chess motifs with a set of specifically designed tasks and challenges. Practical part is an important element of the course. Summary of the key points covered in each of the course's 11 lessons for quick reference and reviewing. Use it as a quick refresher after studying the course or print it and pin it on the wall. This is a must-have material for all under 2200 rated chess players. By simply following the guidelines and applying it in your games you will significantly increase your playing capacity, win games and accumulate rating points! Train the important attacking motifs with a set of specifically designed tasks and challenges. Practical part is an important element of the course.